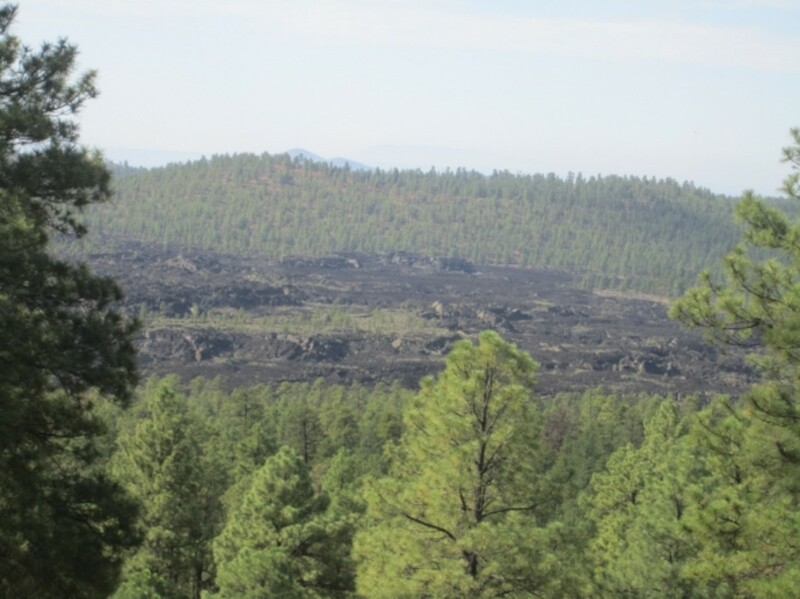 Located 20 miles north of Flagstaff is an old volcano known as O'Leary Peak. On top of O'Leary, on its 8,916-foot east summit, is a fire lookout currently used by the U.S. Forest Service. On a clear day, which describes many days here in northern Arizona, you can see all the way to the Grand Canyon and Painted Desert from O'Leary's summit. 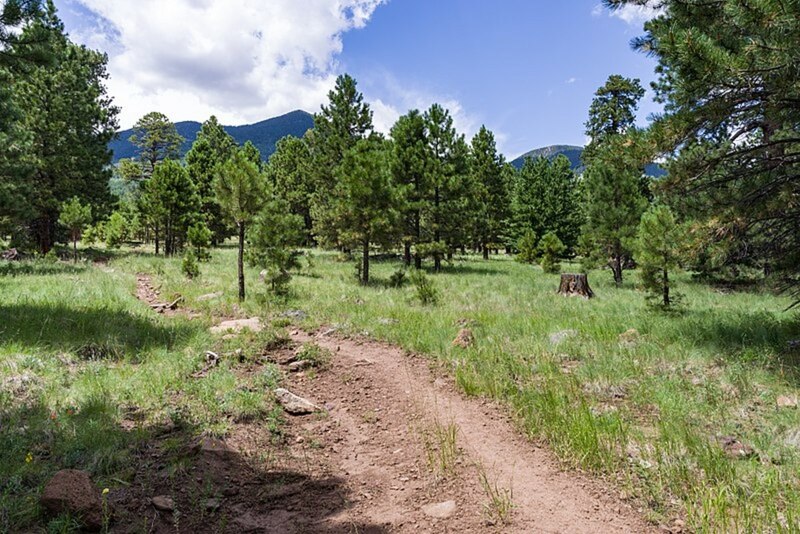 You'll also have excellent views of old lava flows, Sunset Crater, the San Francisco peaks, and ponderosa pine forest as far as the eye can see. O'Leary Peak is a lengthy day hike, but I consider it only moderately strenuous due to the easy grade of the gated Forest Service road that switchbacks to the top. 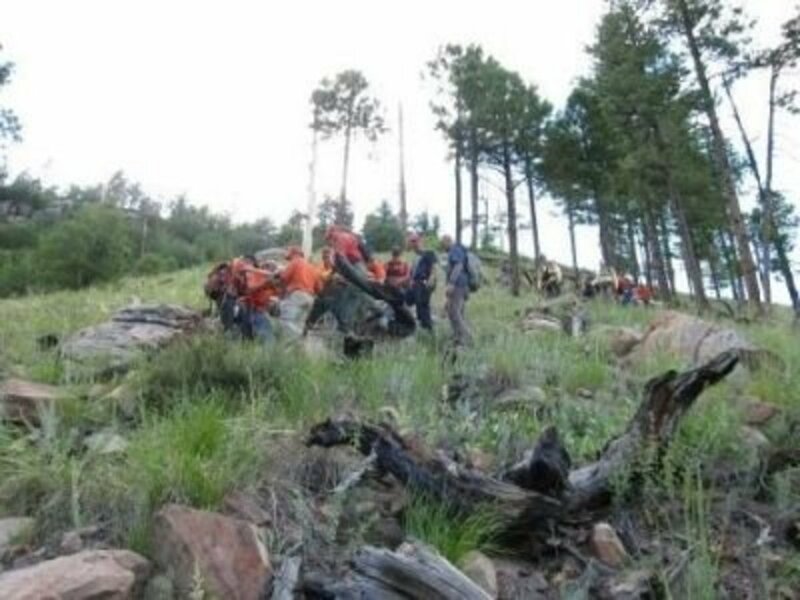 What makes it more difficult for some folks is the elevation of Flagstaff (the city is at 7,000 feet) if they're visiting from somewhere much closer to sea level. Take US 89 north, past the Flagstaff mall, Townsend-Winona Rd and Silver Saddle Rd. 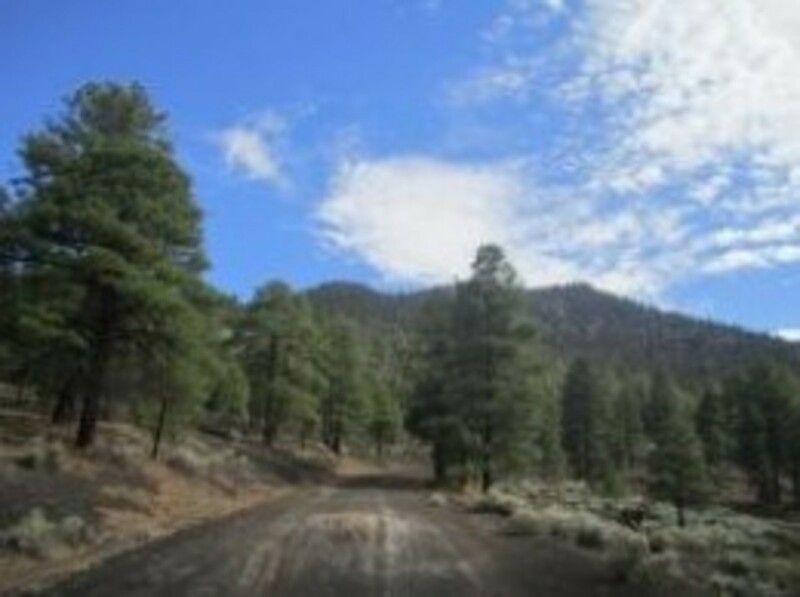 Turn right on the road to Sunset Crater National Park. Just before entering the park, take a left on Forest Service Rd 545A. 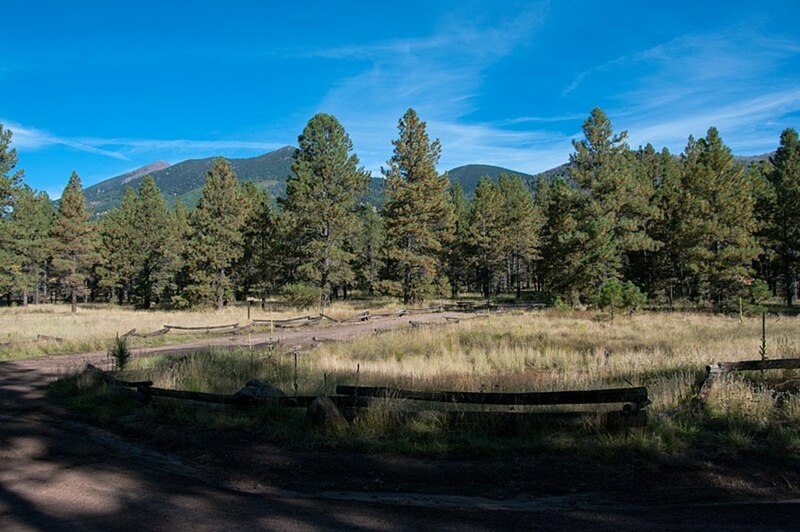 You'll see the entrance to Bonito Campground on the left but continue ahead for O'Leary Peak trailhead parking. Go about 1/4 of a mile to the parking area just before the gate where the pavement ends. 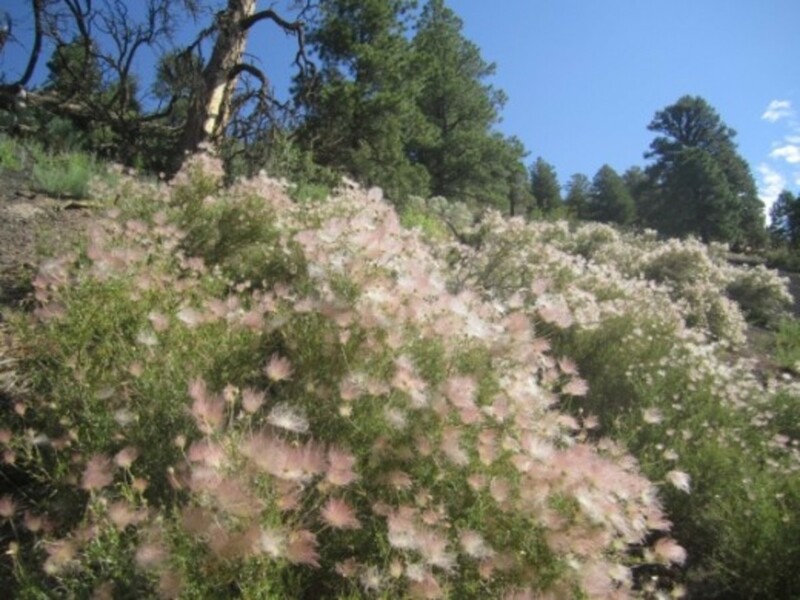 Visit the Coconino National Forest O'Leary Peak page. 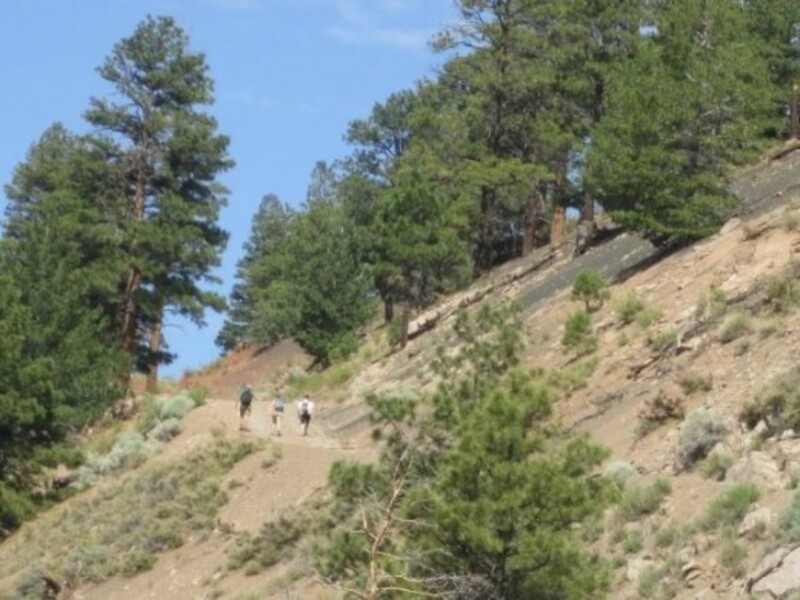 The first (and therefore last) couple of miles of the O'Leary Peak hike take you alongside the Bonito Lava flow, which occurred about 900 years ago when Sunset Crater was formed. 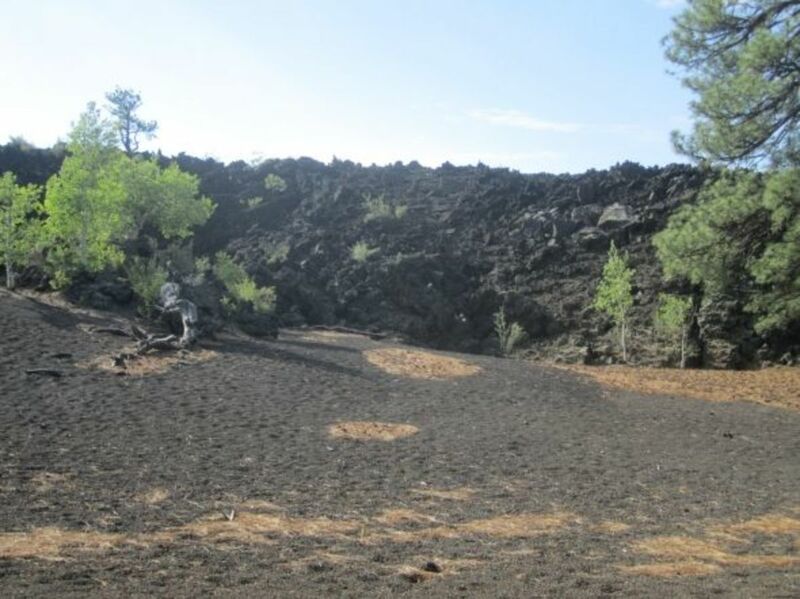 Take a few minutes to veer off the trail and check out the sharp and brittle black lava. 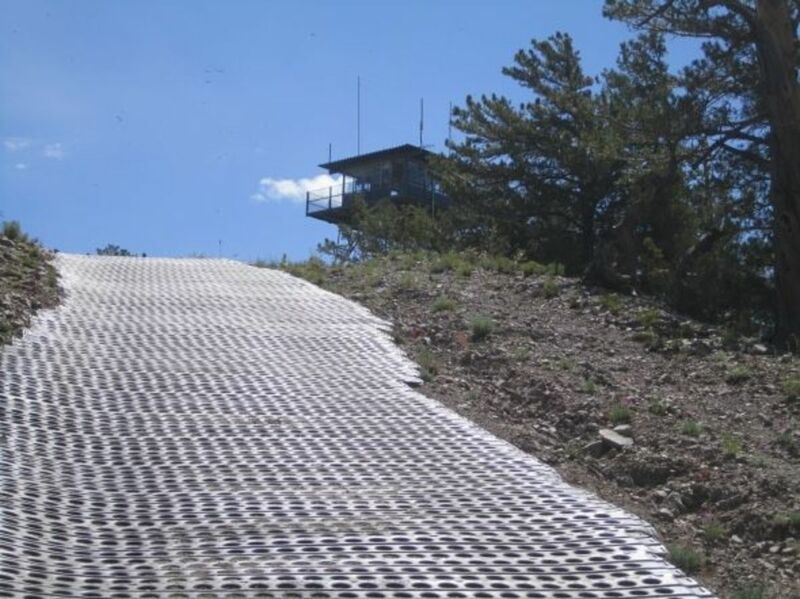 Imagine trying to walk on that stuff? It would tear up your shoes in no time, not to mention your skin if ... or more likely when ... you'd have to use your hands or even fall. 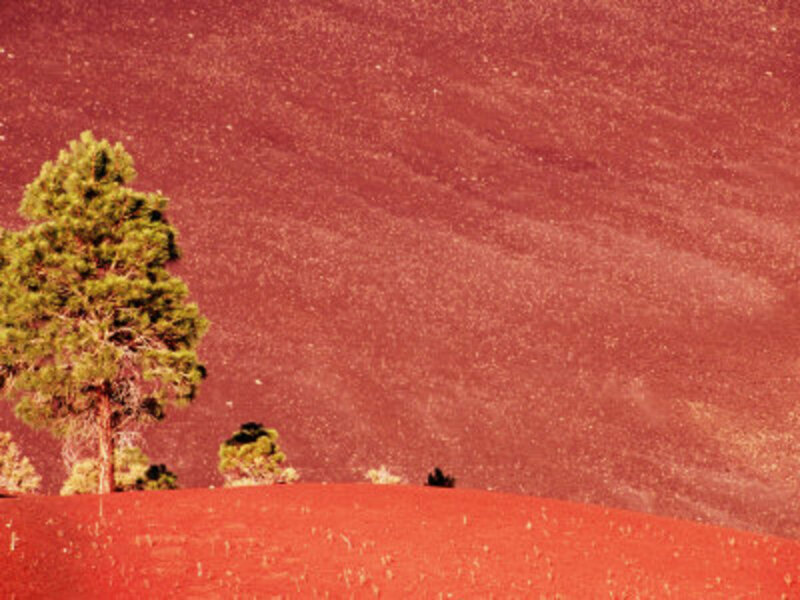 The whole area, including O'Leary Peak, was blanketed with lava and cinders during a series of eruptions sometime between A.D. 1040 and 1100. View of Old Lava Flow from Partway Up O'Leary Peak - You really get a feel for all the volcanic activity that took place here as you ascend and look around. 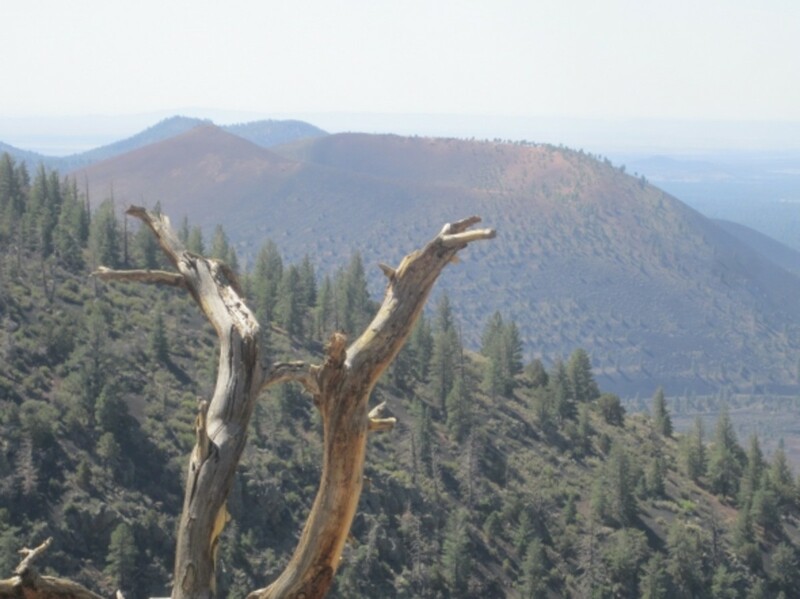 Looking at Sunset Crater from O'Leary Peak - You can see right down into the bowl. The road to the summit is closed to all but the Forest Service and the lookout who mans the firetower, so you'll rarely encounter a vehicle on this hike. I've been up here many times over the years and never have come across one. Erosion Control Just Before The O'Leary Peak Lookout - East Summit: You hike on this metal grating to get to the fire tower. 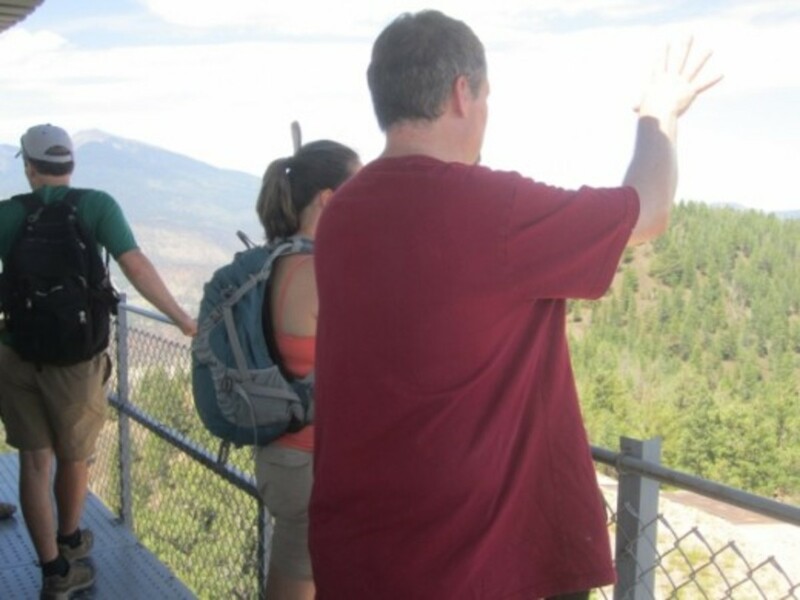 On the O'Leary Fire Lookout Tower - If the tower is occupied, chances are the ranger will invite you up. Go up if you get the chance. Not only is the view amazing, but it's pretty cool to look in the windows of the firetower and see the lookout's setup. I think it would be fun to live in there ... for a few days, anyway. 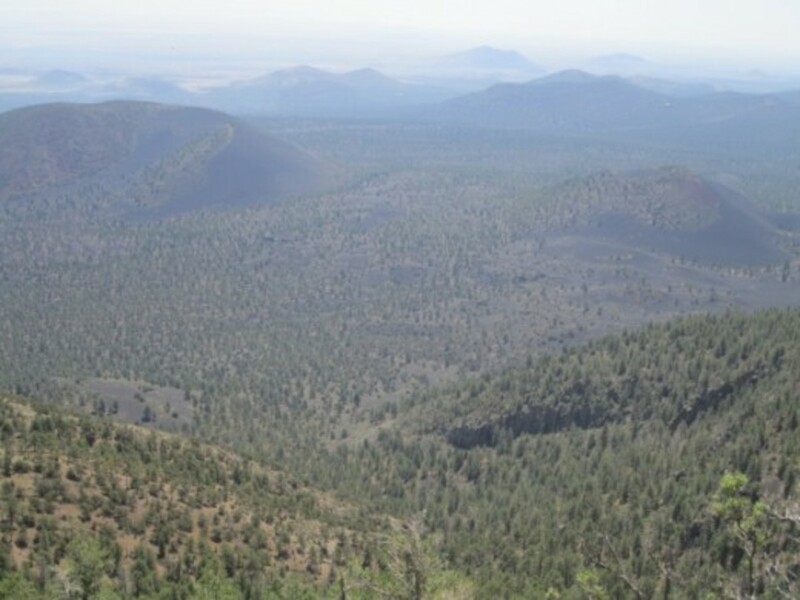 A View of Northern Arizona from the O'Leary Lookout Tower - Imagine when those volcanoes were active. 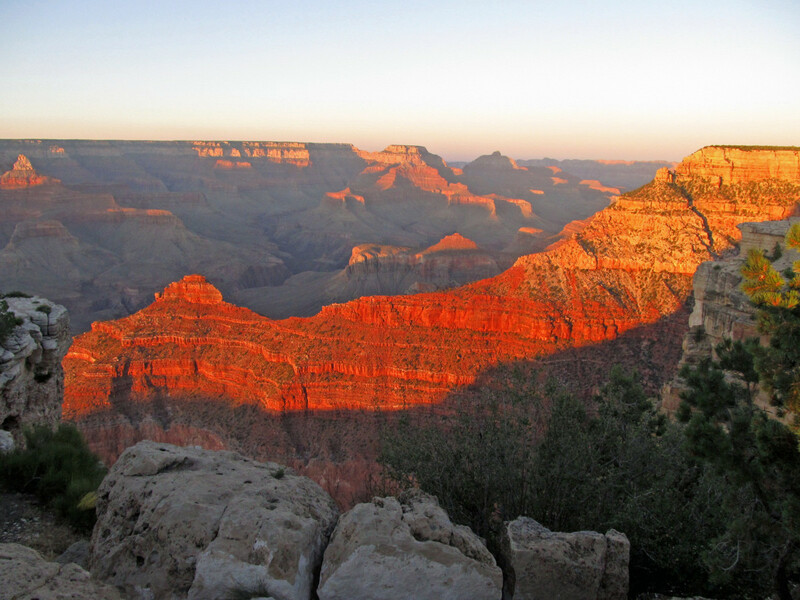 I love looking out on the largest contiguous tract of ponderosa pine forest in the world, ranging from the New Mexico border northwest to the Grand Canyon. 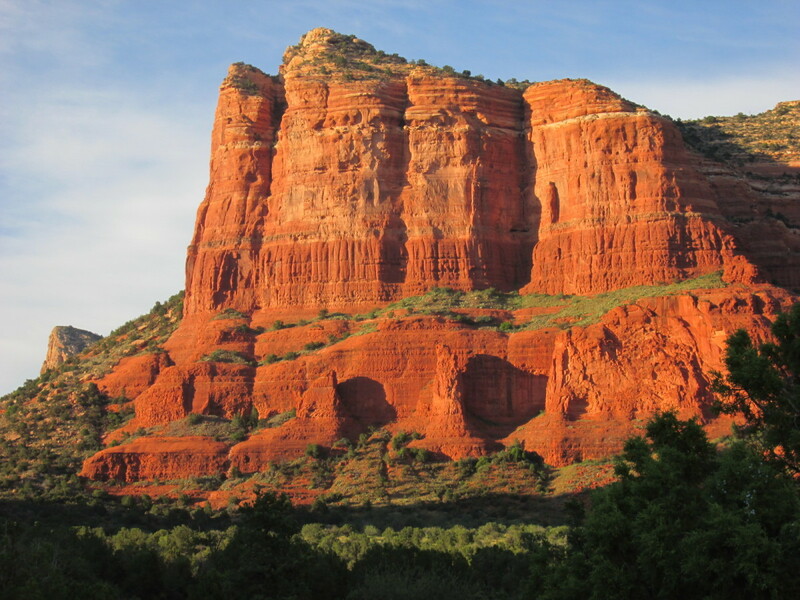 The 97 hikes in this edition have been updated to include GPS coordinates. 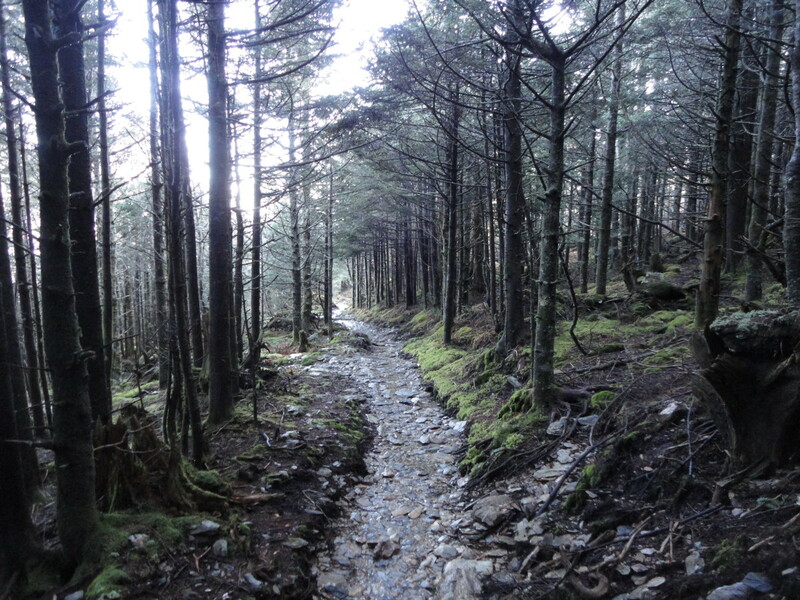 The very user-friendly format features each hike shown on opposite pages with directions to the trailhead, a description of the hike, and a color photograph and map. Also included is an elevation change graph, season-to-hike chart, difficulty/mileage graph and how-crowded icon. First released in 1992, the authors have kept this guide continuously updated and current through this latest edition. FYI--I didn't shoot these videos. 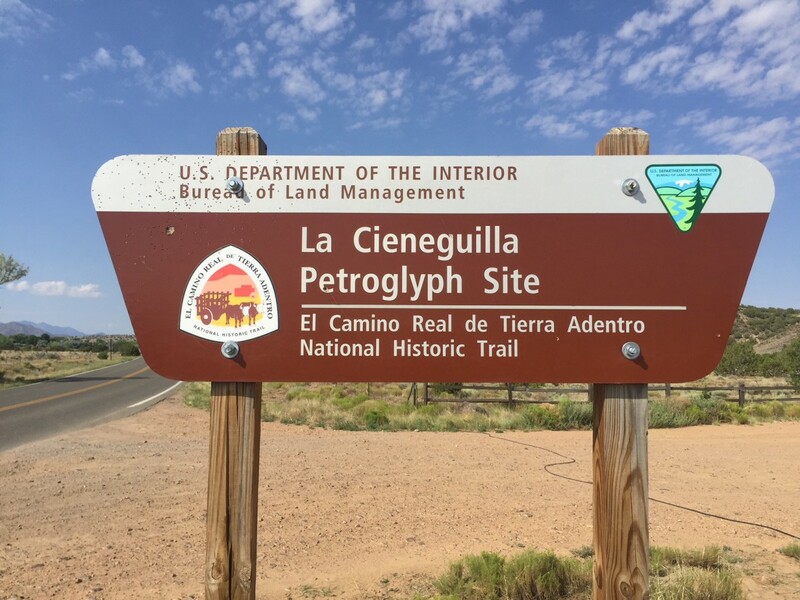 I like how you incorporated multimedia clips and music into this lens as well as photos and trail descriptions. 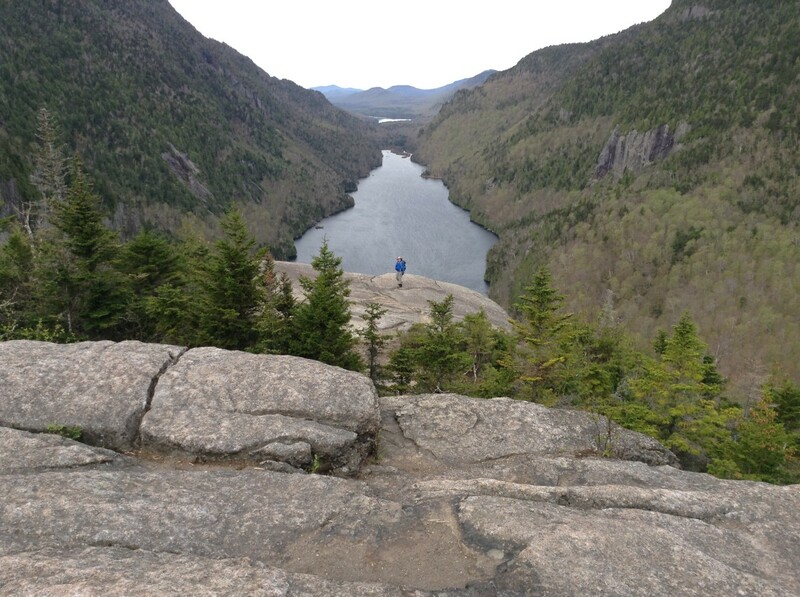 In terms of my favorite hike, it is usually whichever one I am on at the moment. A beautiful place to hike in Colorado Springs is Garden of the Gods. I was the lookout on duty that day. How interesting to see your view of the hike. Interesting choice of music...I'll hear it when I climb the stairs again, I'm sure. I appreciate your discretion in not posting me or my quarters online. 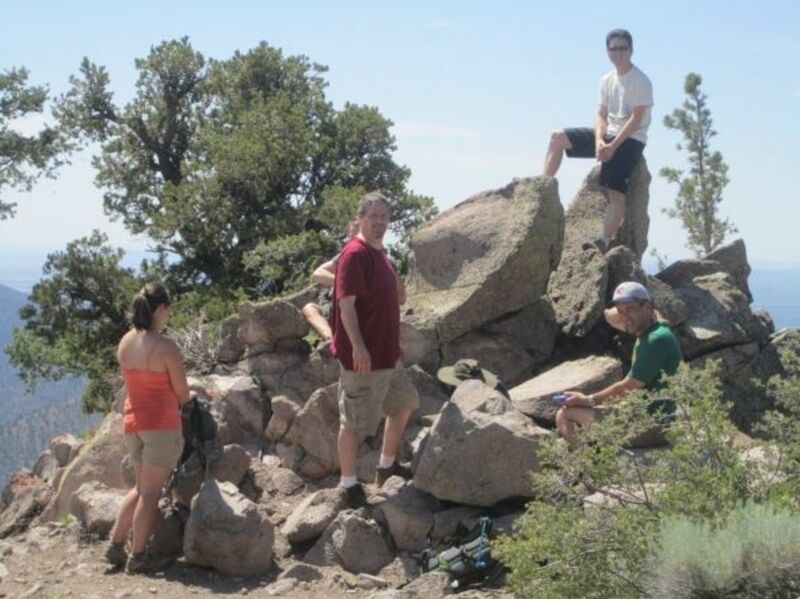 I like hiking around Crestone Peak in Colorado. I love your photos! Nice lens. 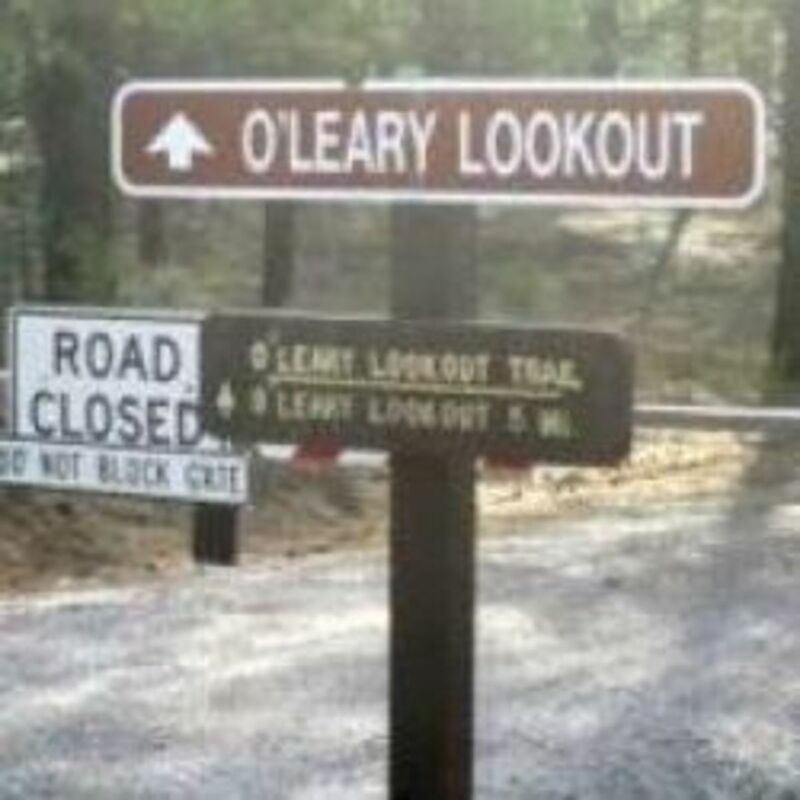 Hiking O'Leary Peak sounds good. Nicely described.